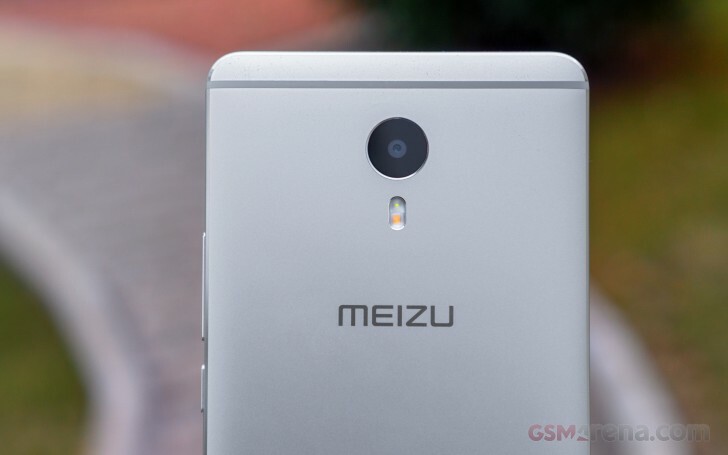 The Meizu M3 Max has a 13MP camera sensor that's capable of capturing 4208x3120px snaps in 4:3 aspect. There's also a dual-tone LED flash that should allow for more pleasing colors in low light flash photos. There are quite a few shooting modes available - HDR, Macro, Manual (where you can adjust the shutter speed, ISO, exposure compensation, and the focus), Panorama, GIF, Beauty, and even Light Field. Light Field is Meizu's refocus feature, which allows you to defocus any part of the scene after the photo has been taken. 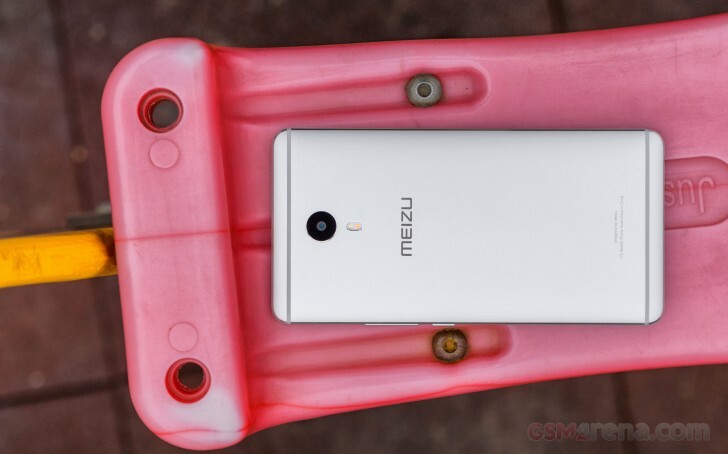 The Meizu M3 Max snaps rather disappointing 13MP pictures. The resolved detail is compromised by a blurry spot near the whole left side, and there are high levels of noise. Sometimes we needed to select the focus point manually because the autofocus failed rather miserably. On a positive note, the dynamic range is OK, and the colors, contrast and white balance were quite accurate. You can check out a 5MP image taken with the front-facing camera of the device. Those aren't peachy either. The Meizu M3 Max shoots videos up to 1080p resolution at 30fps. There's no 60fps smooth motion mode. All videos from the M3 Max camera are captured in an MP4 container. The video bitrate is about 17Mpbs, and the framerate is stable. The audio recorded in the video is stereo - it uses an AAC codec with 128 Kbps bitrate and 48 KHz sampling. The resolved detail is quite poor, though, the extra noise is once again getting in the way and makes the samples unpleasantly grainy. The contrast and colors are very good, though. Here is sample we've uploaded on YouTube. You can also download the 1080p@30fps (9s, 20MB) video sample taken straight off the Meizu M3 Max. The Meizu M3 Max is a very decent 6" phablet ticking all the right boxes for a mid-ranger. It's well made entirely of metal, has a very nice 1080p screen with very good brightness and contrast specs, and its battery life is simply great. Normally, the Helio P10 wouldn't be our first choice of chipset due to its poor GPU performance, but the M3 Max does great in multi-tasking thanks to its octa-core processor and 3GB of RAM. And it turned out most of the recent games run fine, just don't expect stellar performance in the most demanding ones. Finally, the only real thing of concern turned out to be the camera. While the 13MP rear and the 5MP front snappers sound great on paper, their performance is very underwhelming. There are other interesting performers in the same price bracket, so the M3 Max is far from safe, especially with its somewhat limited market reach. 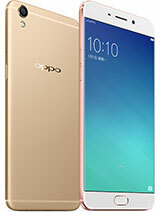 The Oppo R9 Plus has a better chipset, more storage, and a much better camera setup, and the same pros apply for the Xiaomi Mi Max, which has an even bigger screen at 6.44". 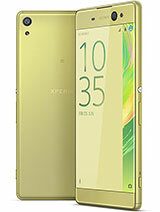 Finally, Sony's Xperia XA Ultra is a good match for the Meizu M3 Max, beating it only in the camera performance. It costs about €100 more, which is a substantial difference. Meizu fans in search for a big phablet can rest assured the Meizu M3 Max is a solid choice, especially for a sub-$300 price. The camera is perhaps its most major pain point, and it's up to you to decide how important that feature is for you. Your choice may also be limited by the local availability of the device. 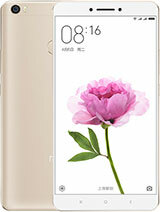 Depending on where you reside, getting Meizu's phablet may not be an option at all, which is a shame. We hope Meizu ramps up its market push because they certainly have the devices that deserve it. Editorial note: We don't intend to suspend our regular longer reviews, but we are considering using this shorter format from time to time so that we can cover a broader range of devices. Our goal is to give you our impressions in a shorter, condensed manner but without sacrificing the performance assessment and the results from the full tests we normally perform. Let us know in the comments below whether you like it or not.